The treasurer of Nicolas Sarkozy’s successful 2007 run for the French presidency has been charged as part of an investigation into suspected illicit financing of the campaign with Libyan money, his lawyer said Tuesday. 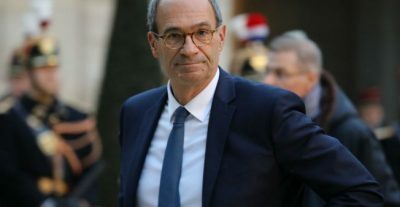 Eric Woerth, who was budget minister and later labour minister in Sarkozy’s government, is facing charges of “complicity in illegal campaign financing”, said his lawyer, Jean-Yves Leborgne. “This indictment is based on the discovery of cash sums, very small if not outright ridiculous considering the cost of a presidential campaign,” Leborgne said. He added that Woerth had told investigators that cash payments totalling some 30,000 euros ($35,000) had been given to campaign workers. Woerth, a prominent rightwing MP who heads parliament’s finance committee, has previously admitted the campaign received cash payments which he said were anonymous donations received by post, a claim contested by others questioned in the case. Sarkozy has denied claims that he accepted millions of euros from the former Libyan dictator Moamer Kadhafi, some of it delivered in cash-stuffed suitcases. After two days of questioning in March he was charged with corruption, illegal campaign financing and concealment of Libyan public money, though he was vowed to clear his name. The allegations that Sarkozy took money from Kadhafi whom he welcomed to Paris in lavish style shortly after his election are the most serious out of several investigations that have dogged him since he left office. The claims first emerged in 2011, as NATO-backed forces led by France and Britain were preparing to intervene in support of rebels seeking to end Kadhafi’s brutal 41-year rule. Ziad Takieddine, a Franco-Lebanese businessman also charged in the inquiry, has claimed he delivered three suitcases containing a total of five million euros to Sarkozy and Claude Gueant, his associate and later chief of staff, in 2006 and 2007. Woerth’s lawyer said investigators were implying a link between the cash payments made to campaign staffers and the suspected millions in Libyan funds. “Eric Woerth firmly contests this reasoning and denounces the claims against him,” Leborgne said. Yet a French TV interview with Bashir Saleh, who ran Libya’s sovereign wealth fund under Kadhafi, has heightened investigators’ focus on Sarkozy’s lavish 2007 campaign. Saleh has long refused to be questioned by French investigators, but in the report broadcast last week he appeared to confirm payments to the former French leader. “Yes, it’s true. But with who? Me? That’s not my job,” Saleh said in an interview carried out last September. “Kadhafi had a special budget for people he wanted to support,” Saleh said, claiming it totalled 350 million euros, though without providing details on recipients. 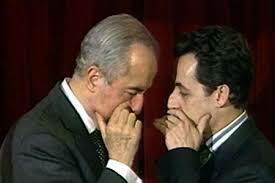 Documents belonging to a second senior Kadhafi loyalist, former oil minister Shukri Ghanem, refer to three payments in 2007 to Sarkozy for at least 6.5 million euros. Ghanem was found drowned in the Danube river in Vienna in 2012.